The program was established to inspire young people to learn the age-old craft of guitar and ukulele building, and to build handmade instruments over the course of two trimesters. Skills gained in the program help prepare students for higher education and careers after high school. 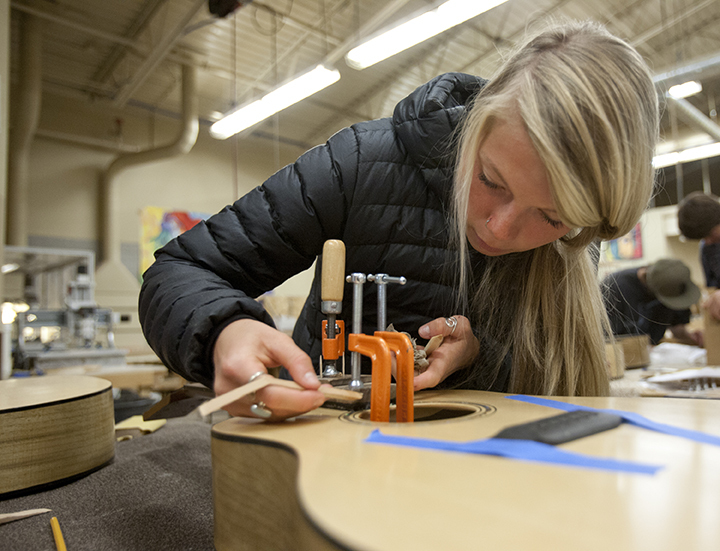 The Sisters Americana Community Luthier program is one of only two instrument-building programs in public high schools in the country. The class exemplifies the innovative ways the Sisters Americana Project continues to lend value and enrichment activities in the Sisters School District. The program is led by Tony Cosby, the Engineering/Woodworking instructor at Sisters High School, and Bill MacDonald of Kona Breeze Ukuleles. 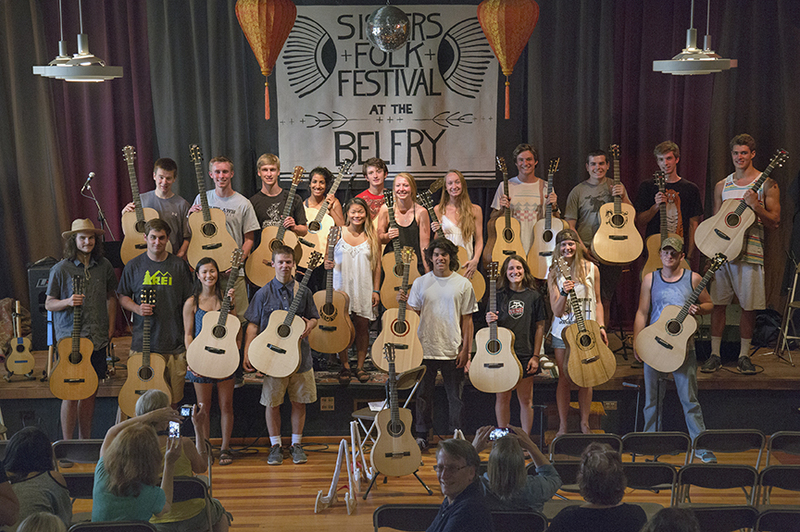 It is a collaboration between Sisters Folk Festival, Sisters School District and Breedlove Guitars, and funded primarily through SFF. The program is enriched greatly by SFF Board members Kerry Bott and Jayson Bowerman who originally helped start the program and continues to volunteer his time and donate materials. Thanks also to the many volunteers who help in the class including David Perkins and Ron Fegenbush. They all provide engineering insight and mentoring to help the students complete beautiful heirloom-quality instruments. 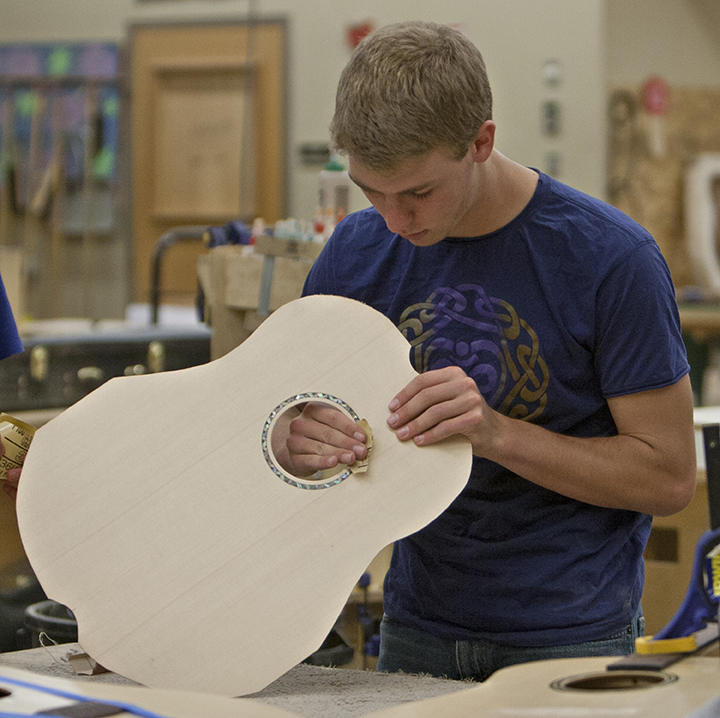 The process takes the students 24 weeks, starting their instruments in the fall and finishing them in the spring. The students are challenged to figure out the science behind what makes a guitar sound great, the art and craft of building the instrument, and the engineering and woodworking skills to develop their own headstock design. Students use industry standard equipment like CNC machinery and learn the patience necessary to stay with it and complete their project. This kind of integration of science and the arts is what makes the program so special. When it’s all over they get to keep the instrument.